Former Member of Parliament for the Town of St. George says he has not endorsed NDC chairman, Franka Bernardine, as his possible successor as parliamentary representative. “I have not endorsed Franka Bernardine. I have not asked anyone to support Franka Bernardine,’’ MP Peter David said Monday. A former general secretary of the National Democratic Congress, David won the Town of St. George constituency in 2003 and 2008. However, he’s expected to sit out general elections scheduled for 19 February. The leading contenders to replace him as MP are Bernardine, and Nickolas Steele of the New National Party. Over the weekend, David was bombarded with calls about reports circulating that he is backing Bernadine who, just months ago, had supported moves to expel him and nine others from the NDC. “I have endorsed no one – and I mean no one – in the Town of St George,” David said Monday in response to reporters’ question. “I was expelled from the NDC by a leadership that includes Franka Bernardine and which has broken up the party,” David said. 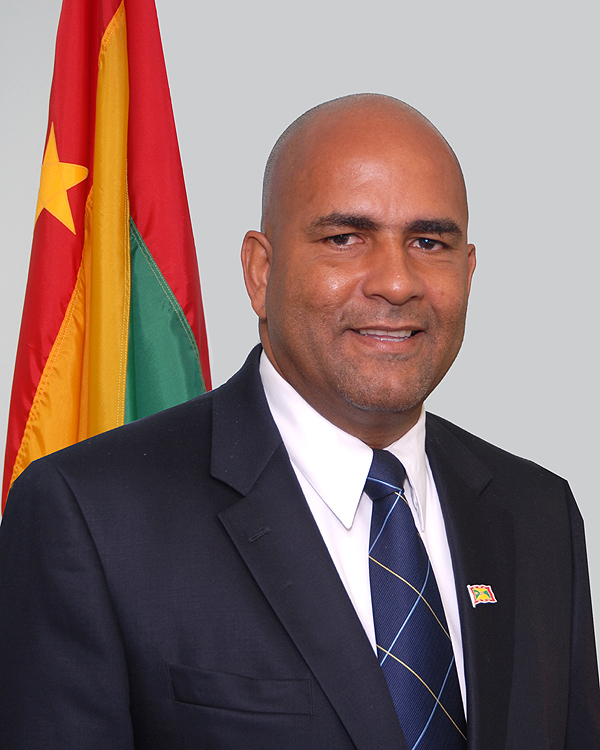 Bernadine and other NDC officials, who in the past have attacked David as being a “rebel” and have made unsubstantiated allegations of attempts to “grab” power from Prime Minister Tillman Thomas, appeared to have softened their offensive against him in the wake of the election campaign. Observers suggest that it might be a strategy to win over David’s supporters to Bernardine, who is contesting her first general election. But David has described as a “baseless rumour,” reports that he had thrown his support behind Bernadine as NDC candidate for the Town of St. George. The former foreign affairs and tourism minister referred to the upcoming polls as “a fight between the NNP and NDC,” adding that people should vote according to conscience or not vote at all.